Skydiving. A silhouette of tandem is in the sky. 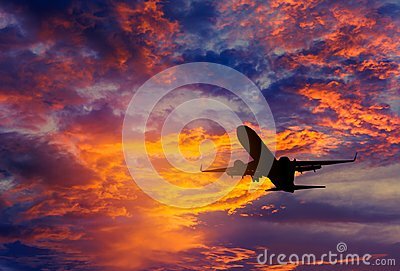 White long trail of a jet plane in the blue sky at sunset time. Three airplains flying in the sunset.